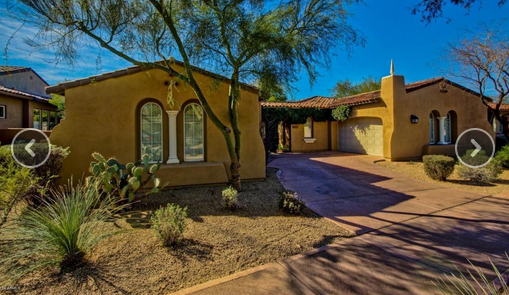 The close-knit community of Scottsdale, AZ, located in the heart of the Valley of the Sun, has much to offer when considering relocating to this area. Whether you are looking for a hub for art and cultural events, shopping, excellent schools, recreation or exciting nightlife, this city of approximately 224,000 people has it all. The beauty of this city is evident throughout its 341 square miles, where newer buildings are interspersed into older neighborhoods. The city shares boundaries with similar cities such as Paradise Valley and Phoenix on the west side, Tempe on the south, Carefree to the east and the breathtaking Tonto National Forest on the northern side of the city. The Salt River Pima-Maricopa Indian Community skirts its southern boundary as well. The median temperature throughout the year is approximately 71 degrees, ranging from 53 degrees in the winter months to 90 degrees in the summer. The sun shines most days in the Valley with few inclement days and a yearly overall precipitation average of only nine inches. Enjoying a healthy real estate market, the city of Scottsdale continues to be a wise choice as residences in this area are of high demand. Market sales of luxury homes within the city place it among the nation’s top ten markets for homes of this caliber. Many homes follow the carefree southwest architecture of stucco and tile roofs. The Downtown Scottsdale area has over one hundred galleries in its Arts District. Cultural and art events take place throughout the year, such as Thursday night ArtWalks or evening productions at the Scottsdale Center for the Performing Arts. Artists render their talents to the Public Art program, displaying sculptures throughout the downtown area. Visit the Historical Society Museum or the Museum of Contemporary Art to expand your artistic repertoire. Living in the Valley of the Sun gives way to the recreational outdoors. The Salt River is a great venue for tubing trips down the scenic waterway where sightings of wild horses and scenes of high cliffs dot the landscape. Take a hike on the numerous mountain paths or bike on one of the city’s numerous bike paths for a leisure day in the sun. Horseback trail rides that wind through the desert are easy to find within a few miles of the city. Golfing is one of the major pastimes in this area with professional golf courses spread throughout the area. Taking in a spring training game between Major League Baseball teams is a local tradition. Teams from all four major league sports organizations play just minutes from the city. Excellent schools supported by the Scottsdale Unified School District and various private schools are available for children of all ages. Arizona State University for higher education is located in neighboring Tempe. Bus transportation, a free trolley system and excellent freeways makes navigating the area easy. The city is minutes away from the Phoenix Sky Harbor Airport. Quaint little boutiques in Old Town Scottsdale to large shopping malls such as the Fashion Square Mall, are easy to find at every turn of the corner in the city. Restaurants are even easier to find with cuisines represented from every part of the world. A city that works to support the needs of its community in all aspects is worth its weight in gold and Scottsdale meets the criteria. From housing to recreation, geography to climate, schools to transportation, this western oasis has it all.